BIS – the Department for Business, Innovation and Skills – issued a white paper on trade in November. “I note the above consultation and offer comment here with regard to just one of the issues raised. 23. What are the key challenges preventing LICs and MICs from benefiting from trade? 24. What are the key constraints preventing trade and investment with LICs and MICs? 11. Whether all reasonable obligations arising from the transactions appear to have been properly fulfilled. There are a number of ways of securing this information. First, local registers holding this data on public record readily accessible via the internet should be created and it is a key role of the UK government to support this activity, in our opinion. Secondly, in the case of multinational corporations registered in states in which International Financial Reporting Standards issued by the International Accounting Standards Board apply this information should be supplied by incorporating country-by-country reporting in those standards for all large companies. 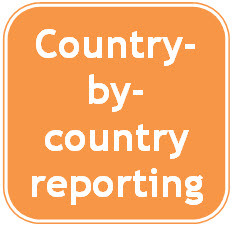 Country-by-country reporting is an entirely new perspective on corporate reporting. It can be seen as a requirement for increased disclosure of information in the financial statements of the largest multinational corporations, because it would require disclosure of the information noted here by each Multinational Corporation (MNC) in its annual financial statements. Have the necessary confidence (or not) to trade with it. What it is vital to note in each and every case is that if more data is available to assess the risk involved in either trade or investment then that risk is necessarily reduced, not just specifically but, more importantly, generically. A generic reduction in risk will be reflected in a reduced cost of capital for companies in LICs and MICs and this will in turn be reflected in more inward investment in these locations.